Hello blog interweb friends! There have been some pretty exciting things happening over here at SparkleFarkle HQ, which is what I've named the small corner in my room dedicated to the pursuit of my after-work hobbies. Most recently I joined the board of Fashion Group International, the local Arizona chapter. I am so excited to be taking on the Special Projects/Blog position, working with some amazingly talented professionals. My position will primarily focus on the expansion of the FGI Arizona blog - and I will be writing about all things bridal in the Valley! Boutiques, Wedding Fashion, Planners, Stylists and more. 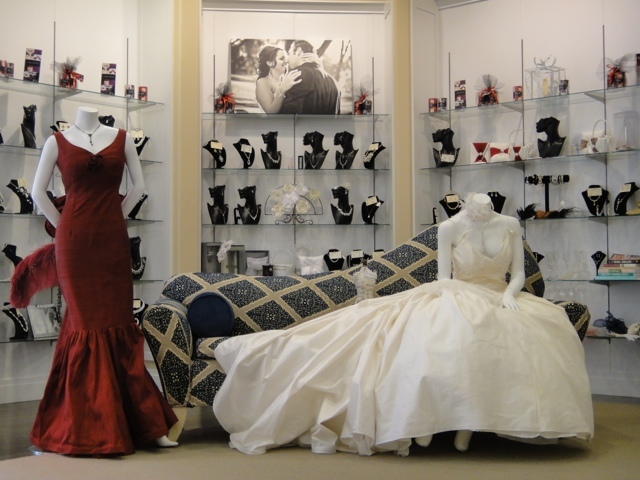 My most recent article features Almond Tree Weddings - a Phoenix boutique specializing in consignment gowns, local artisan jewelry and fashion for the rest of the bridal party. You can read the feature over on the FGI Arizona Blog! All of my previous features can be seen under the category "Bridal". Hooray for wedding things & a happy Tuesday to you! I bought my wedding dress there and I absolutely loved it. The ladies at Almond Tree become fast friends and are eager to help you find THE dress. And I did for a whopping $300.